Australia’s home-improvement leader is coming Europe after Wesfarmers agreed to buy Home Retail Group’s Homebase chain for £340 million. 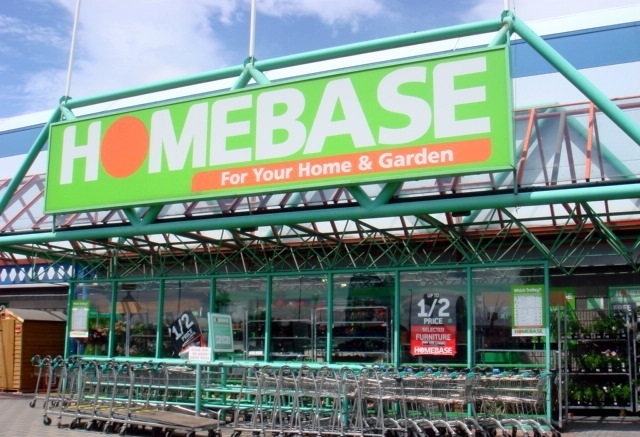 Bunnings, which dominates the Australian do-it-yourself market, will rebrand Homebase stores under its name over the next three to five years and invest £500 million expanding the business, Wesfarmers said in a statement on Monday. The purchase will shake up the home- improvement market, where Homebase has struggled to bridge the gap to market leader B&Q. It may also act as a prelude to a larger transaction, with J Sainsbury considering whether to make an offer for Home Retail to gain its Argos chain of general-merchandise stores. “The probability of a successful acquisition of Home Retail Group by Sainsbury’s has increased,” Jamie Merriman, an analyst at Sanford C Bernstein, said in a note. “Given Sainsbury’s interest in Home Retail Group is centred on the Argos asset, the sale of Homebase to Wesfarmers paves the path to a simpler transaction.” Following the sale, Home Retail will focus on “the options for delivering shareholder value,” as well as its plan to transform Argos into a leader in digital retailing, chairman John Coombe said in the statement. Home Retail rose 3.9% to 159.6 pence in London. Wesfarmers shares climbed 2% to A$40.12 at the close of trading in Sydney. Bunnings plans to use Homebase to introduce its Bunnings Warehouse format in Ireland and the UK, the chain’s head John Gillamsaid in an investor call. “It is all about taking the things we know and tailoring those for the UK market,” he said. Wesfarmers plans to develop Bunnings Warehouse pilot stores in the first year and learn like “crazy” before expanding, he said. The purchase, due to complete in the first quarter, will initially have an “immaterial effect” on Wesfarmers’ earnings per share and return on equity, adding to profits from the third year, the company said. The acquisition will be funded through British pound-denominated debt facilities, it said. Bunnings’ prime competitor will be Kingfisher , the owner of B&Q. Kingfisher is undergoing a strategic overhaul of its own and next week chief executive Veronique Laury will outline the extent to which her initiative to sell the same products across the company’s international businesses will boost earnings. Home Retail said it intends to distribute about £200 million s of the divestment proceeds to shareholders. The sale of Homebase would end a union with Argos that dates back to 2002. Wesfarmers will be acquiring 265 stores and a business that generates annual revenue of about £1.5 billion. Home Retail’s defense against Sainsbury’s approach was undermined by disappointing Christmas results this month. Under pressure from online competitors such as Amazon. com, Argos reported a 2.2%drop in same-store sales.